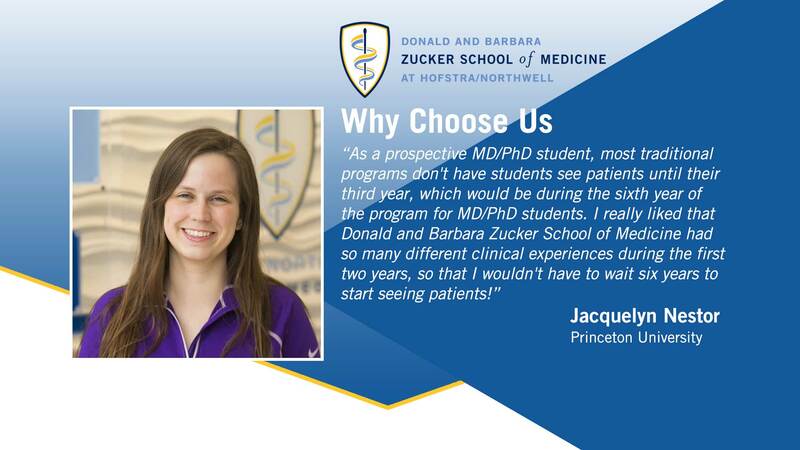 Students in the MD/PhD program receive their PhD degree in The Molecular Basis of Medicine. The goal of this program is to train individuals to pursue scholarly activity in biomedical, translational and clinical research with the goal of transforming and improving medical care for the population. The unique aspects of this program are the emphasis on the study of human disease and on application of that study to clinical practice. Students can complete the PhD portion of their degree at the Feinstein Institute for Medical Research or Cold Spring Harbor Laboratory.